You are here: Home / SEASONS / Winter / How Cold Is Too Cold? If it’s too cold for you, it’s too cold for your pets! They are not equipped for living in cold weather like wild animals are. If you’re cold so are they! Please use this chart, and your common sense as a guide! 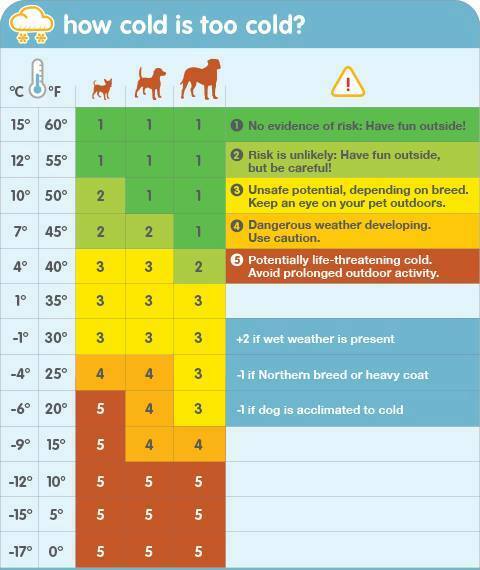 Surprisingly, depending on breed 50 degrees can be unsafe!